X-Plorer 1 - Robolab Technologies Pvt. Ltd. 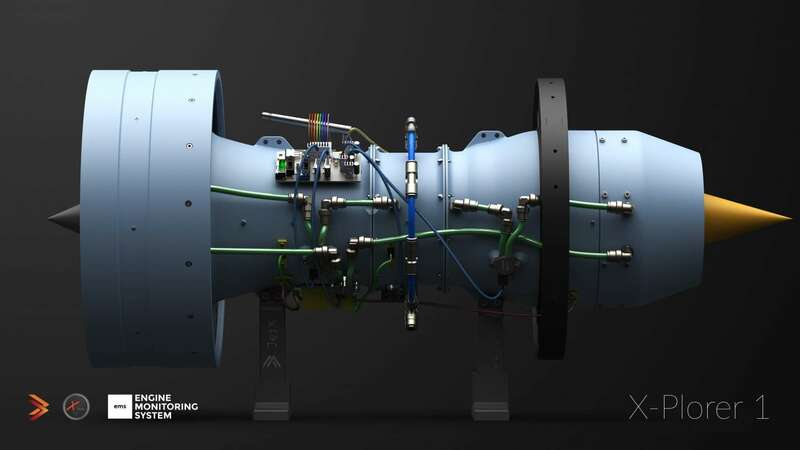 The X-Plorer 1 is the first jet engine model designed entirely by JetX Engineering, a team of enthusiastic engineering students at the University of Glasgow. 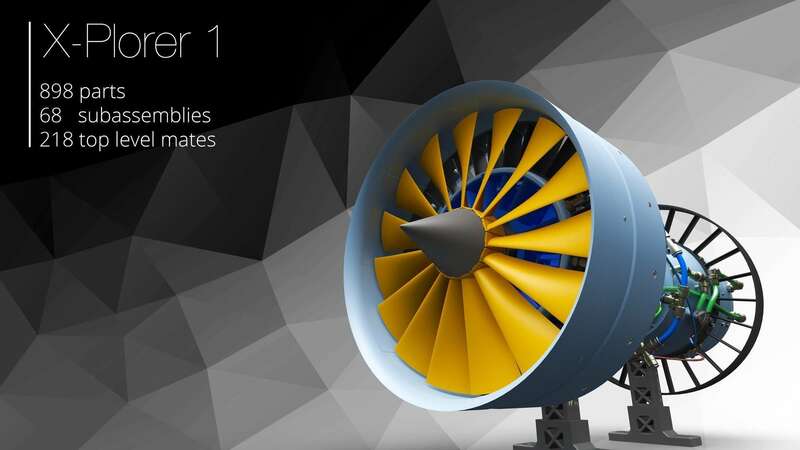 The high bypass, double spool turbofan was scaled down and optimised for 3D-printing. 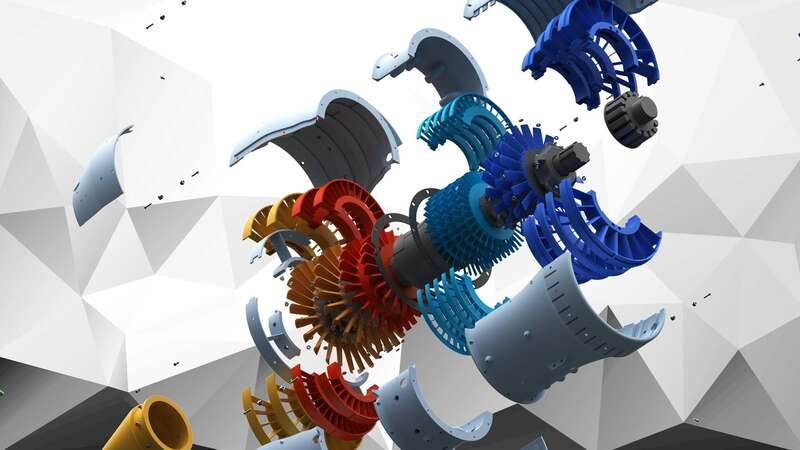 Over 50 engineering students have been involved in the design that includes all typical rotating parts, pneumatics and is the first ever 3D-printed model to feature an integrated monitoring system! The purpose of JetX is to bring together young people with an interest in aerospace and the current project has been a design and engineering exercise of a much larger scale and complexity than degree projects. 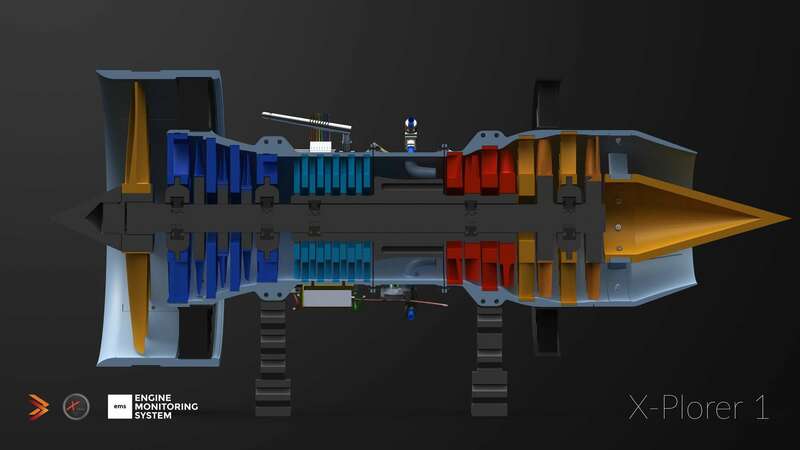 The design is based on theoretical models used by the team and emphasis is given on design for assembly, optimisation through FEA and CFD, as well as optimisation for 3D printing. JetX has spent over 2900 hours 3D printing over 500 parts during the development and production of the X-Plorer 1. The CAD which was made entirely with SolidWorks was an exact representation of what was either 3D-printed or assembled later on in the project, including electronics and tubing. Five separate teams have contributed to the design that contains over 850 parts. The end goal is to perform simulated testing runs where compressed air stored at a known pressure and discharged at a controlled flow rate will be the ‘fuel’ of the engine, while we will be able to monitor performance in terms of rotational speeds, pressure differentials and more. Despite working in fireless conditions, the project proves that dozens of opportunities to tackle unknowns and engineering challenges can come up in this ‘simulated’ environment, playing an important part in the professional development of our members and inspiring younger generations of engineers. Furthermore, we draw parallels with the additive manufacturing processes used in this project and those currently deployed in the aerospace manufacturing lines, highlighting the benefits and weaknesses as well as the potential for much more widespread use in the future. You can find out more details about the project and the latest updates at our website, www.jet-x.org.